We’re everywhere compassion and comfort need to be. Hope Hospice is located in Sun City, CA and has been serving Southwest Riverside County since 2007. We provide a full spectrum of physical, emotional, social, psychological and spiritual support for those with life-limiting illness and their families. Our proximity to all the areas we serve allows for an immediate response time to all service needs and requests that is unequaled in the industry. Our experienced medical staff includes, Medical Director, Dr. Kamran Qureshi who has over 10 years of experience managing hospice patients and Dr. David Mitzner who has recently joined our medical team and has been in Southwest Riverside County for over 10 years. Our organization was recently awarded a deficiency free survey from the California Department of Public Health which demonstrates the competency of the individuals serving the community through Hope Hospice and their quality of care. As we grow, we continue to develop educational programs and activities to increase public awareness with regards to hospice and other end-of-life care issues. We support and participate actively in building community coalitions and partnerships for improving the delivery of hospice care services to the communities we serve… from one neighborhood to the next… one family, one friend, one patient at a time. Our mission is to ensure that everyone knows their end-of-life care options and to improve care for all patients at the end of their lives. We are here to bring hope, conquer fears and touch peoples’ lives. We recognize that death is a part of the normal process of life. To this end, we believe that through appropriate care, education and the presence of a supportive team sensitive to the needs of individuals facing life-limiting illnesses; patients and their families may obtain and experience physical, mental, social and spiritual preparation for and at the end of life. 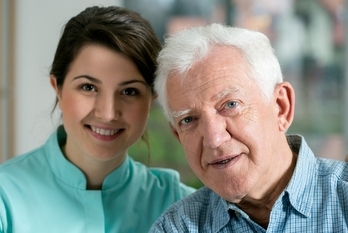 Our vision is to set the standard for excellence in hospice and palliative care in Southwest Riverside County. We believe that everyone deserves the opportunity to experience a meaningful end of life journey, an enhanced sense of belonging, and a sense of purpose and hope. The hope that HOPE Hospice brings is the hope of a quality life, making not only the best but the most of each day during the last stages of a life-limiting illness. We provide care in treating the physical, emotional, and spiritual needs of patients when curative measures are no longer an option. We affirm living and dying as a normal cycle of life. We do not seek to extend life, nor to hasten death, but rather to provide comfort and support for a peaceful life transition. Our goal is to provide relief from symptoms of pain and alleviate patients’ suffering and enable them to enjoy an alert, pain-free life so that they can have an opportunity to create lasting memories with their loved ones. At Hope Hospice, we are here to ensure that our patients’ last days are spent with dignity and quality and that all available resources and support are afforded to them and their loved ones during this very difficult time. © Copyright 2019 Hope Hospice. All Rights Reserved.